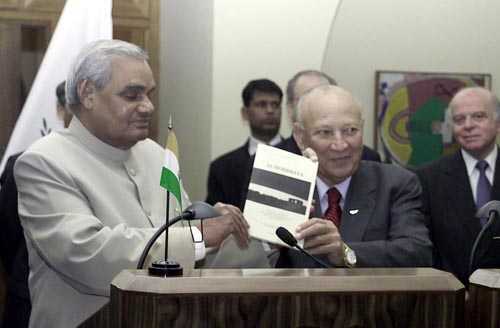 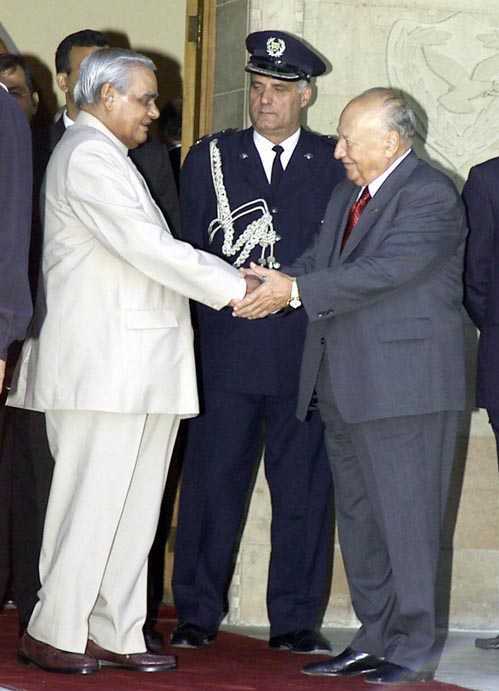 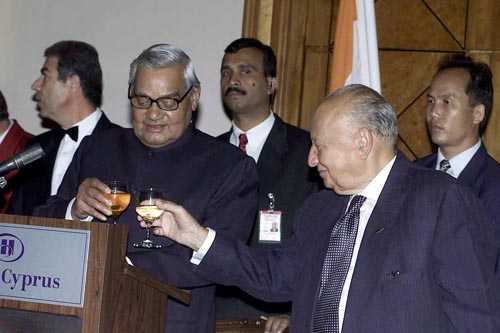 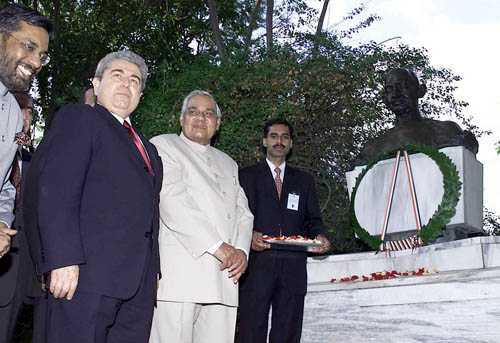 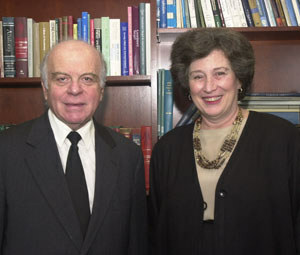 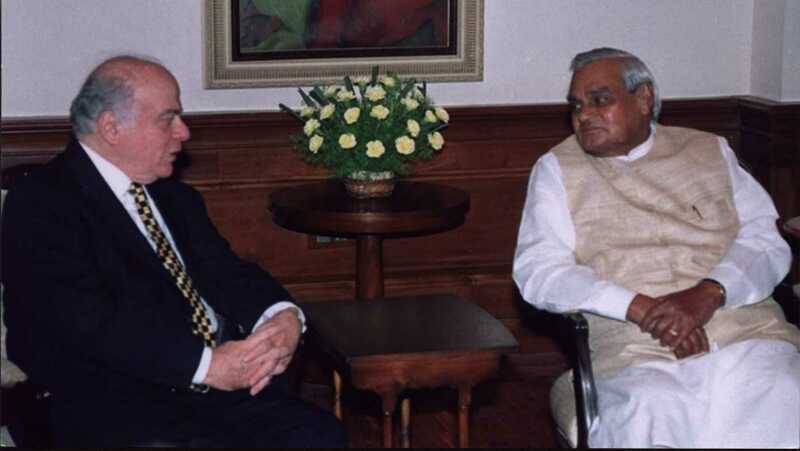 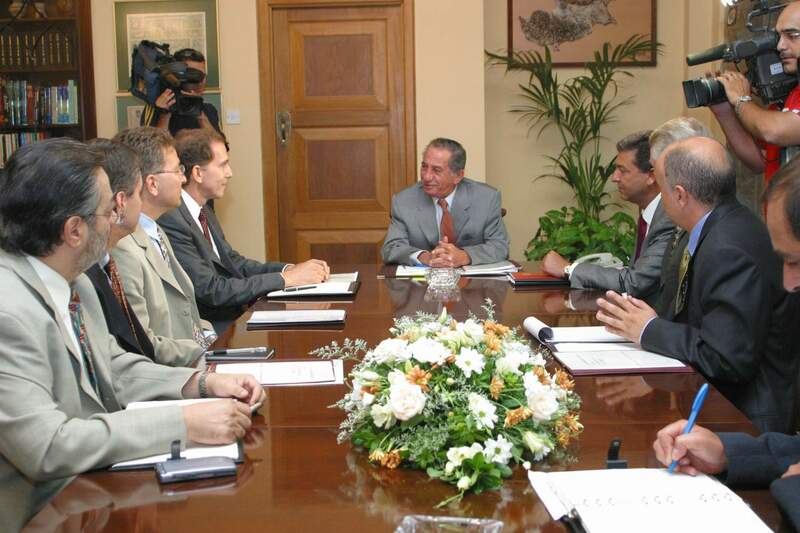 From the visit in India and the meeting of Minister Rolandi with the Prime Minister of India Αtal Bihari Vajpayee in April 2002. 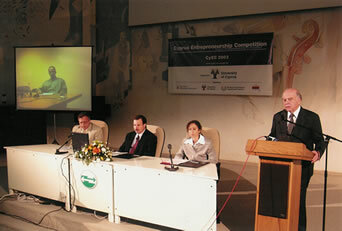 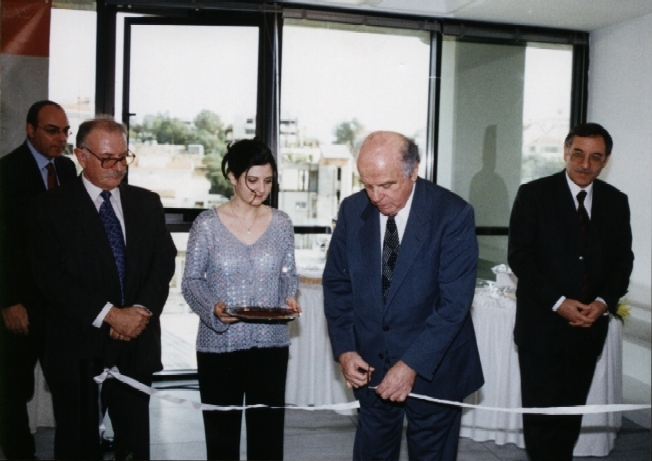 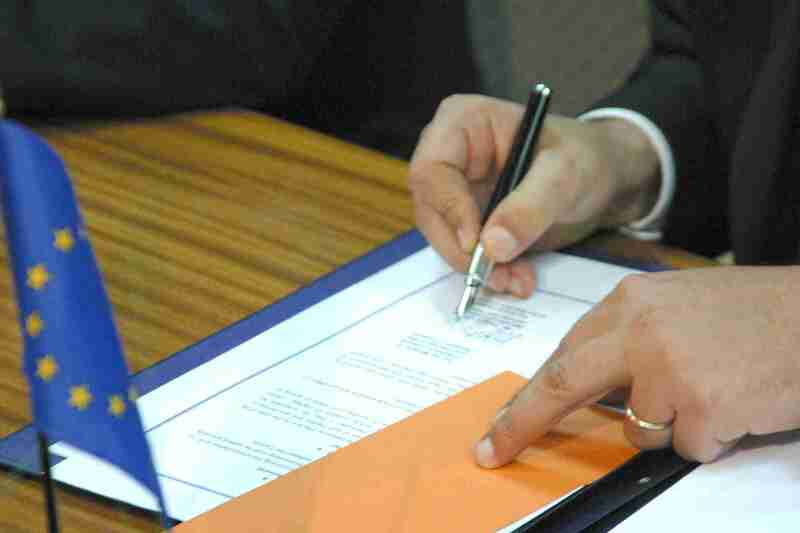 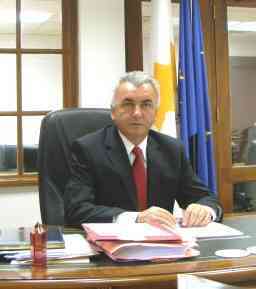 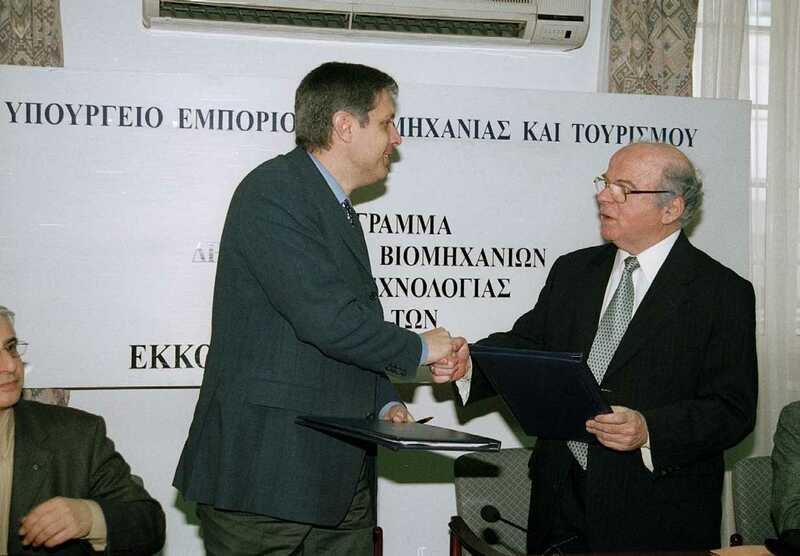 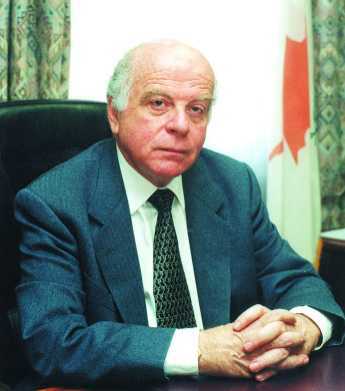 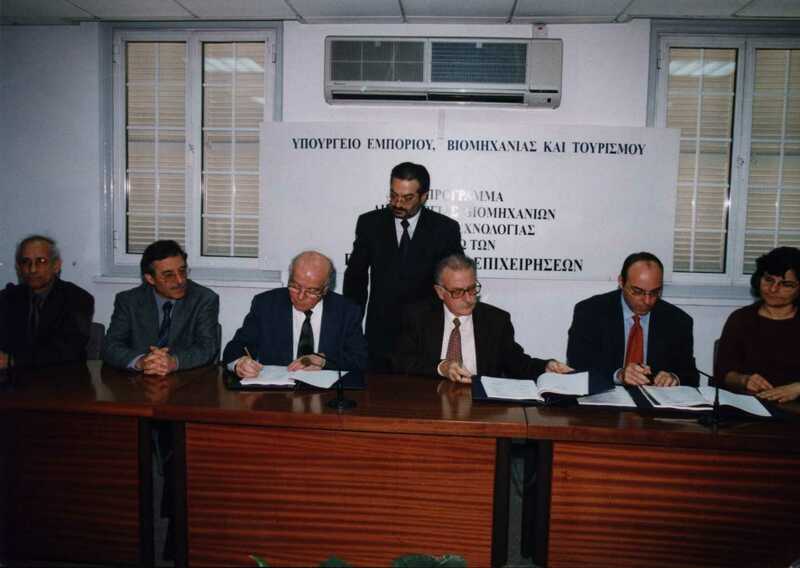 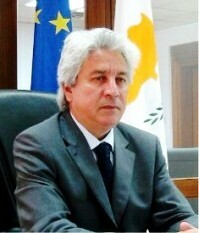 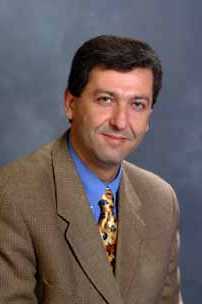 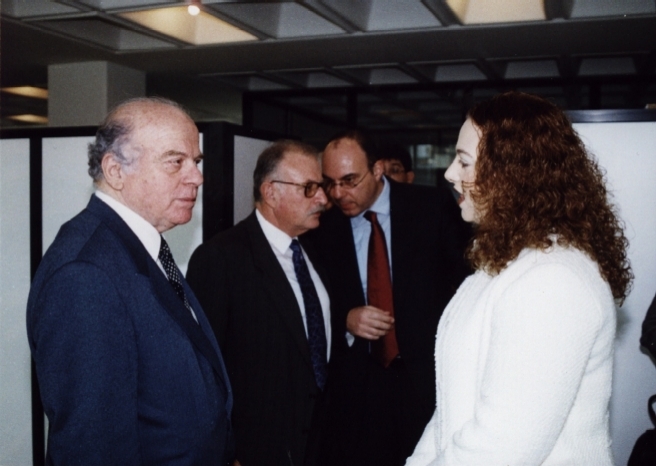 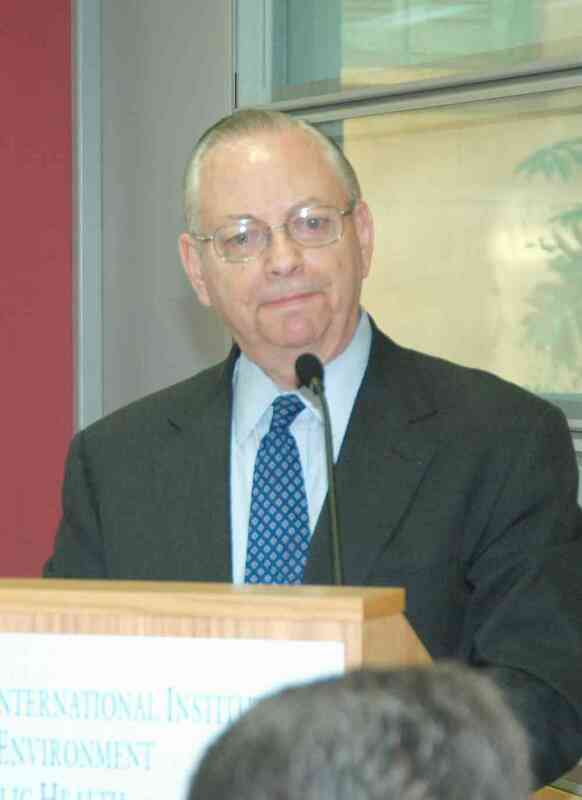 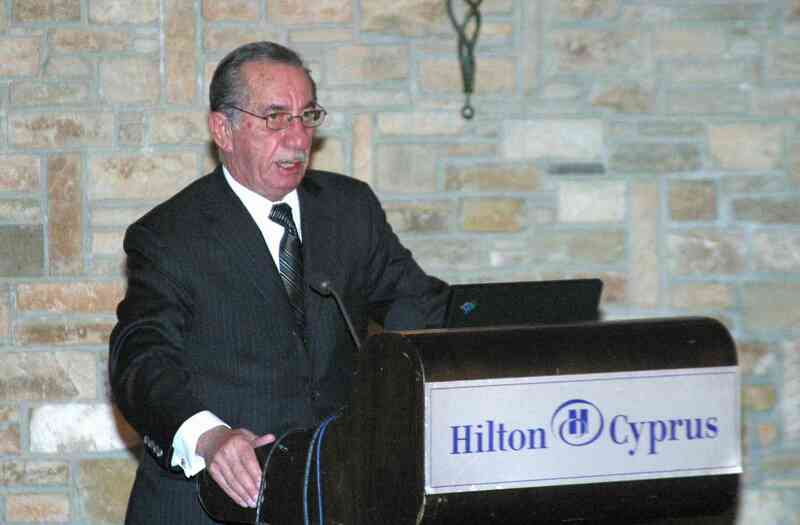 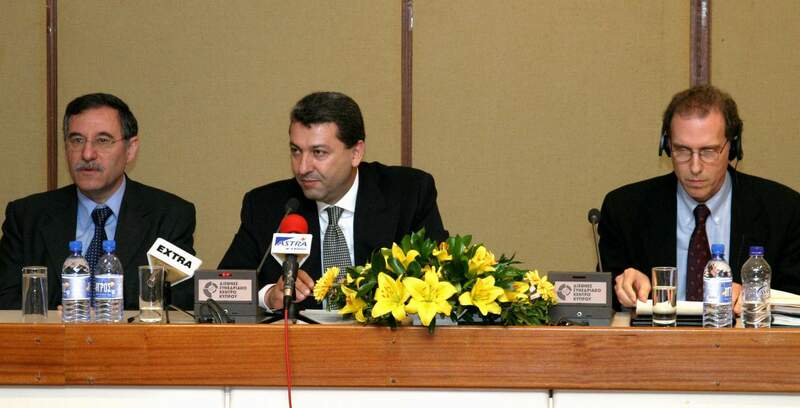 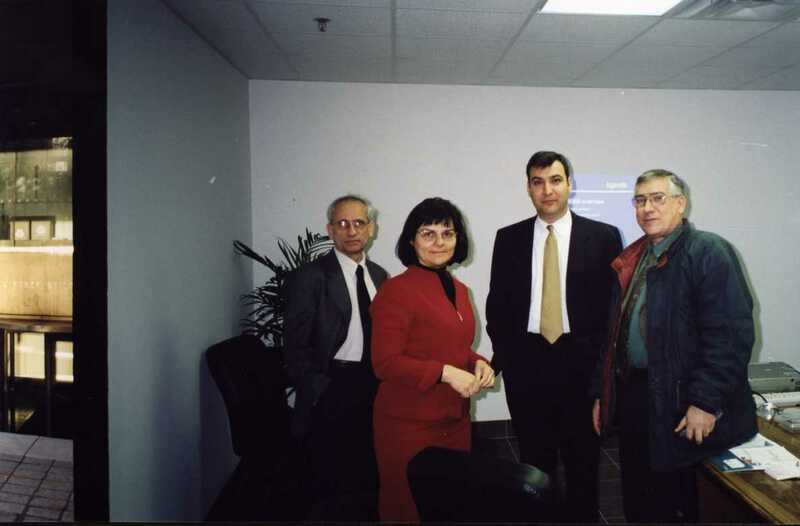 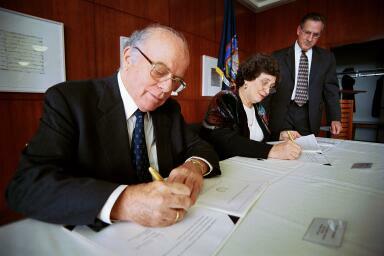 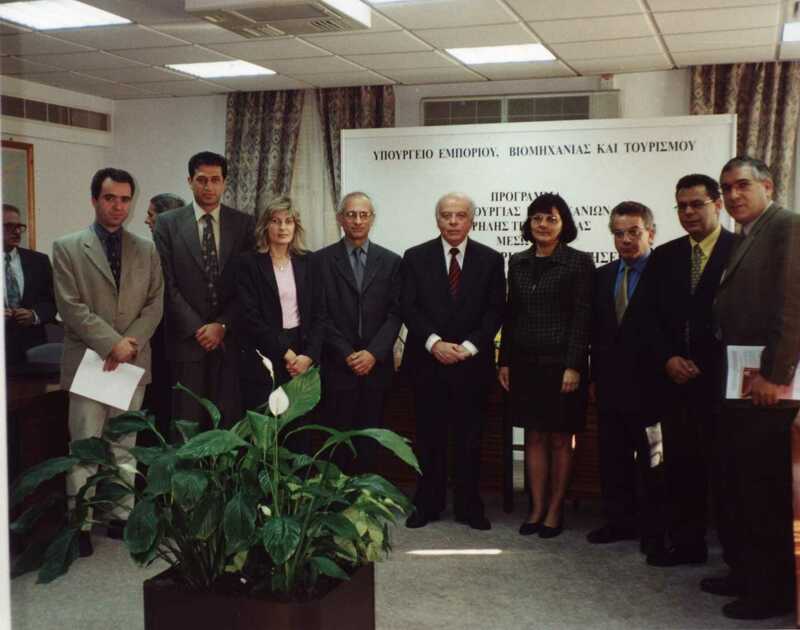 From the opening ceremony of Promitheas Business Innovation Centre Ltd on 14 January, 2003 by Minister of commerce, Industryand Tourism Mr. Nicos A. Rolandis. 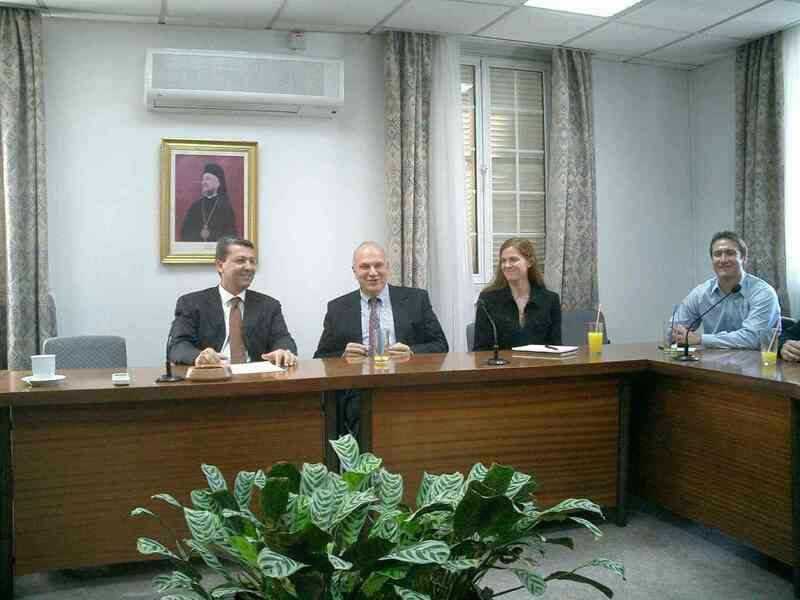 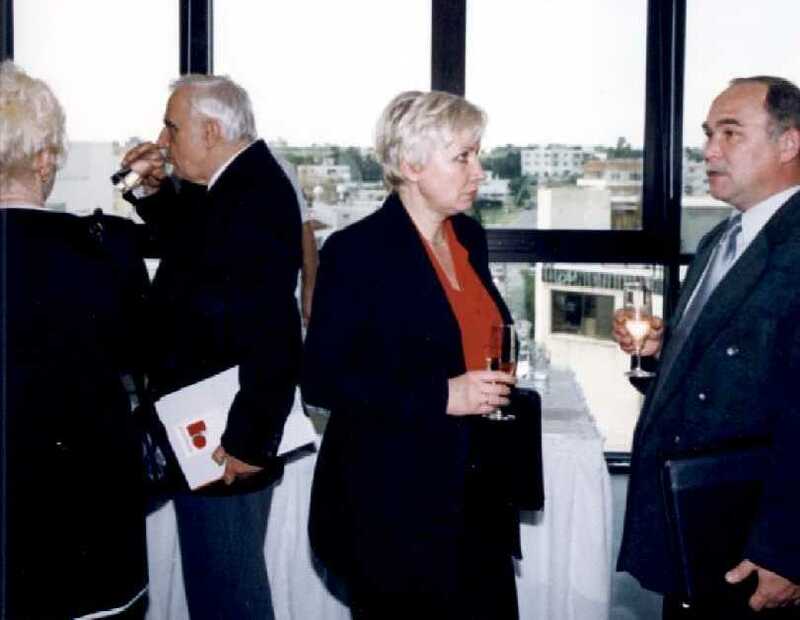 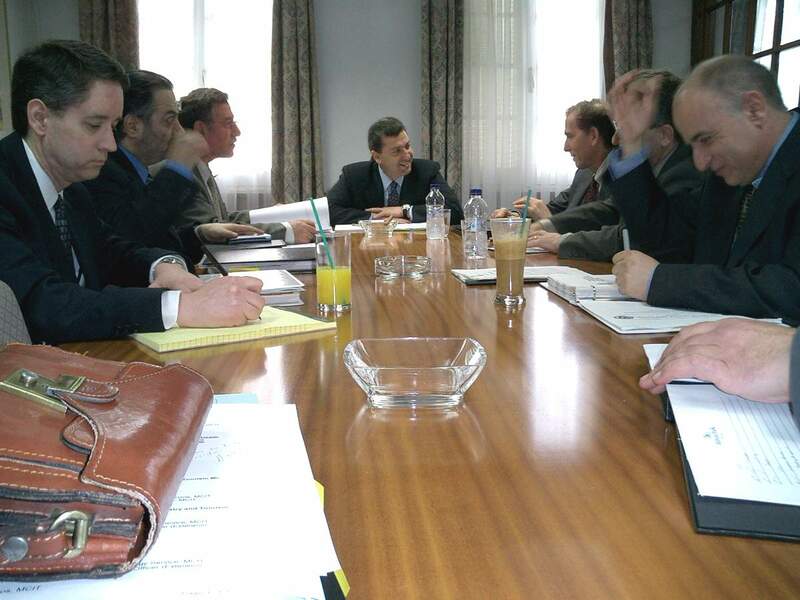 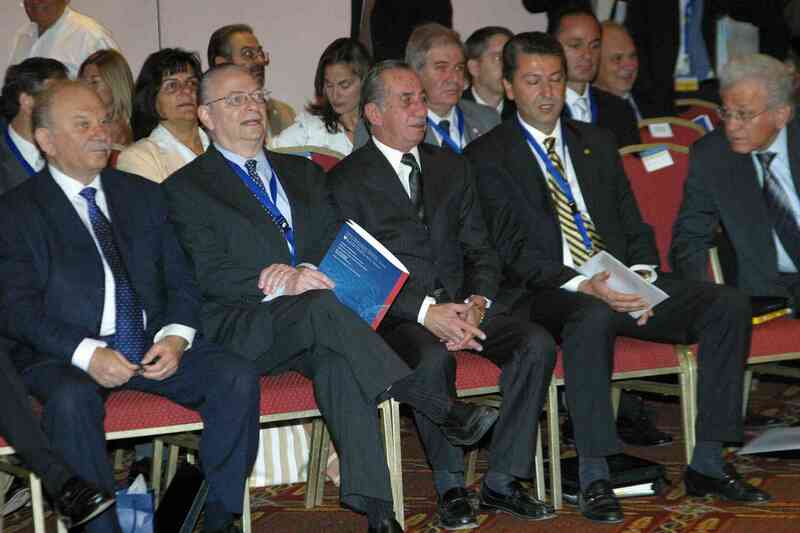 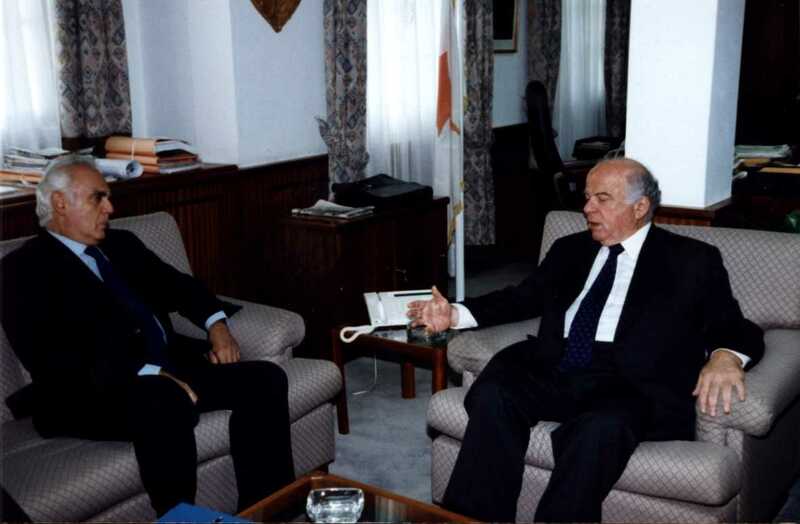 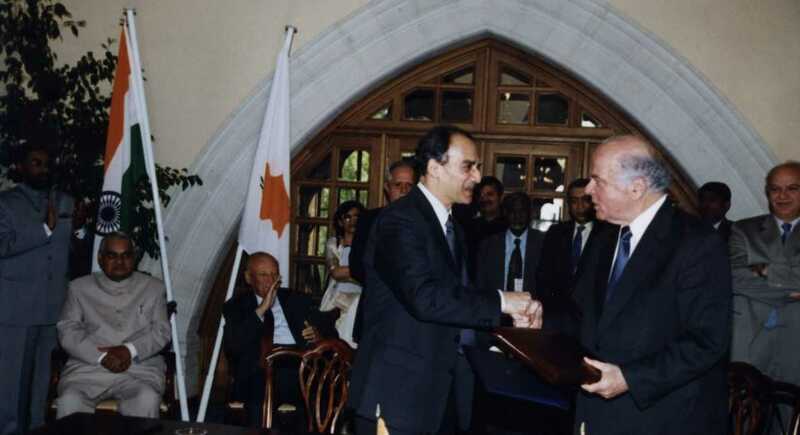 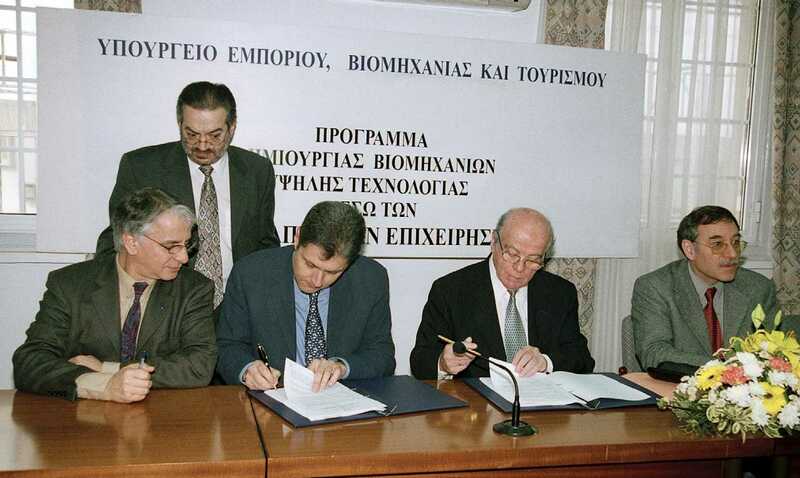 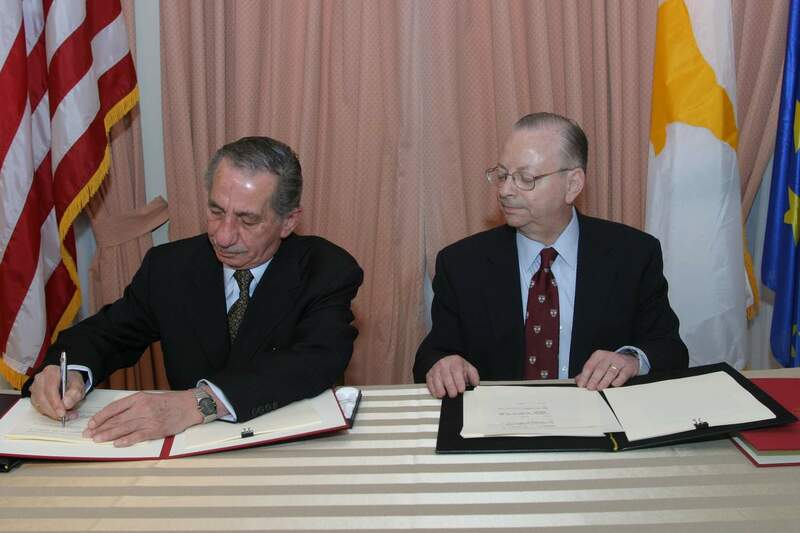 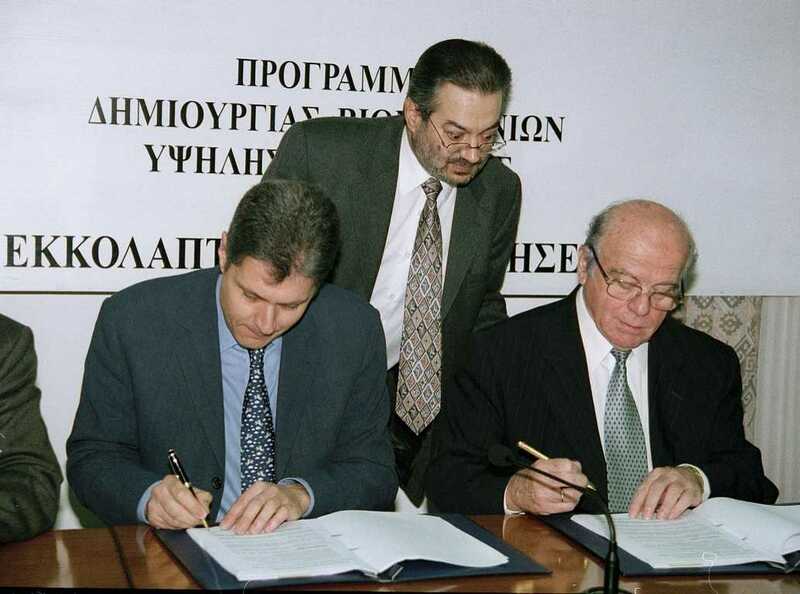 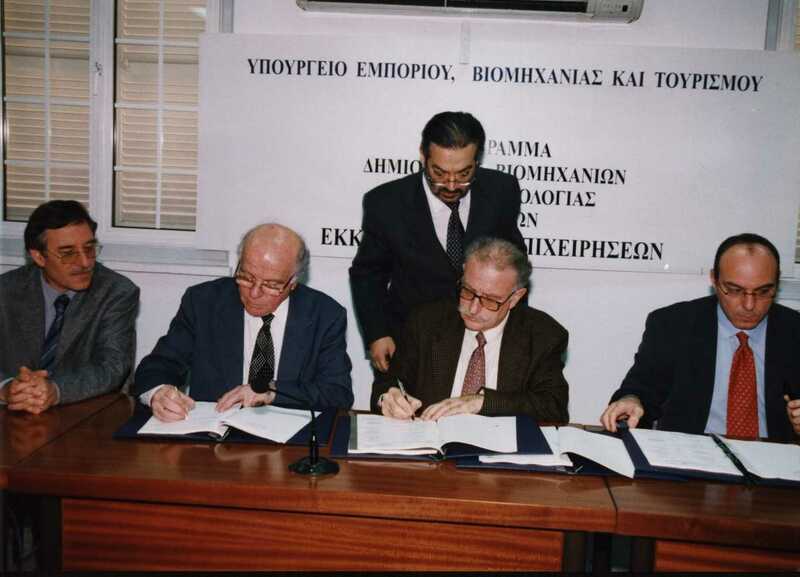 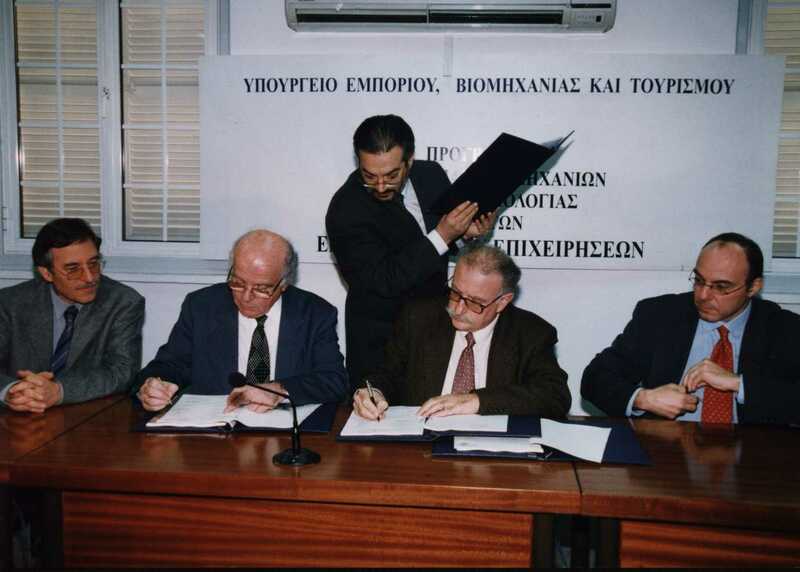 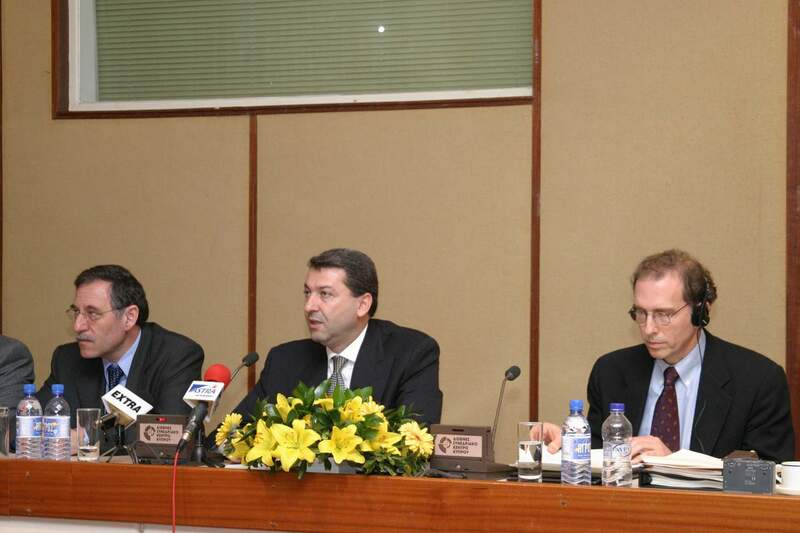 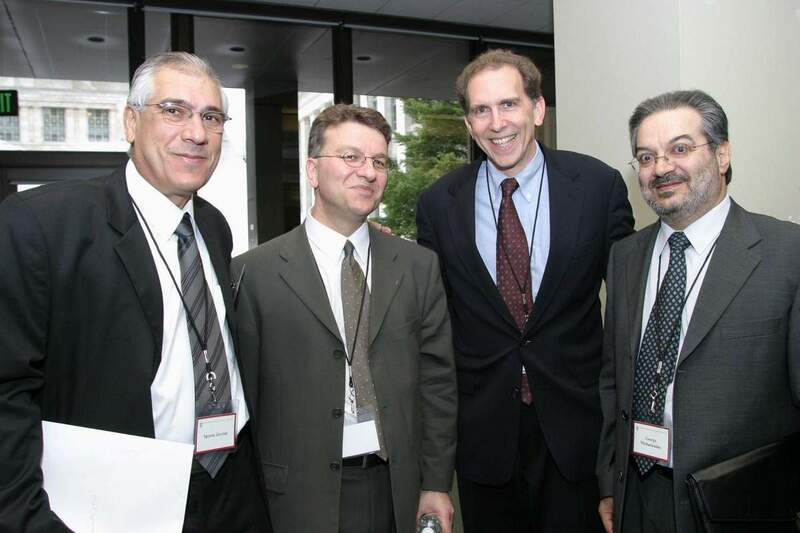 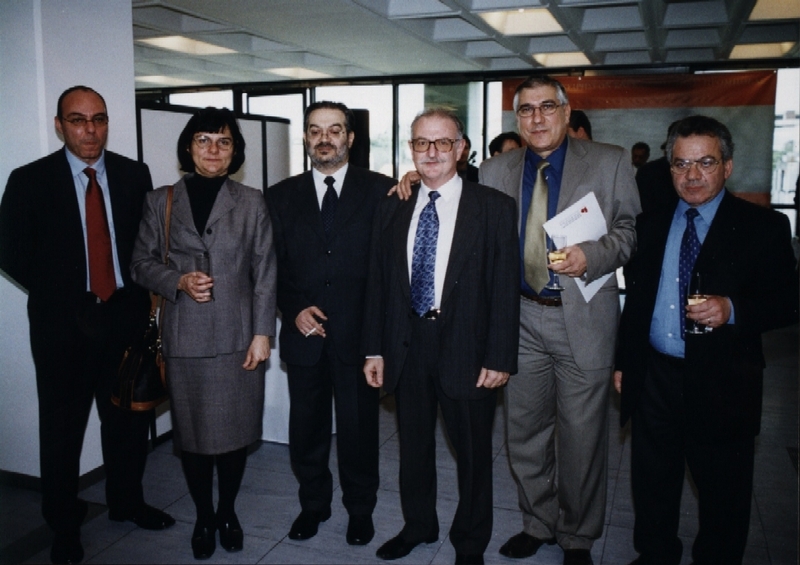 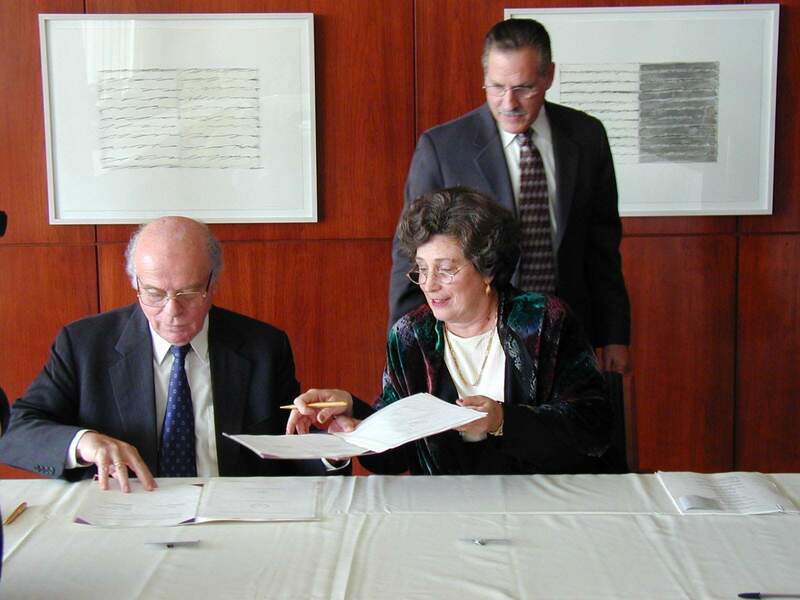 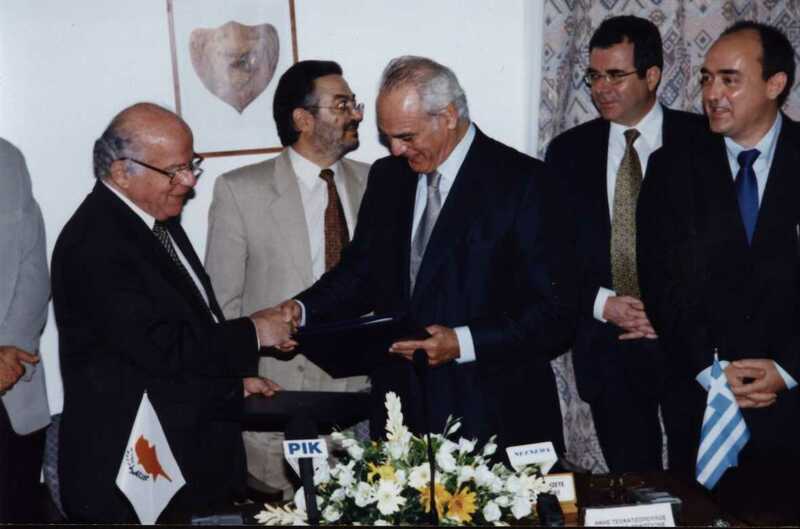 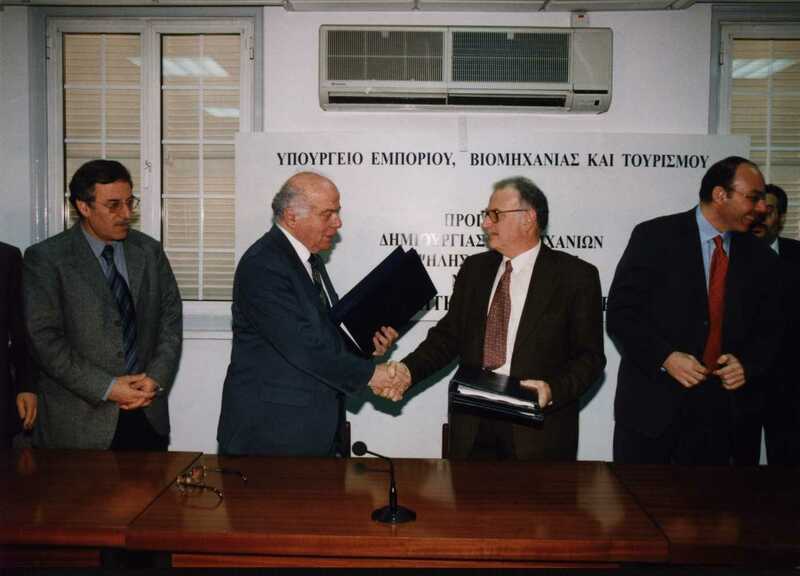 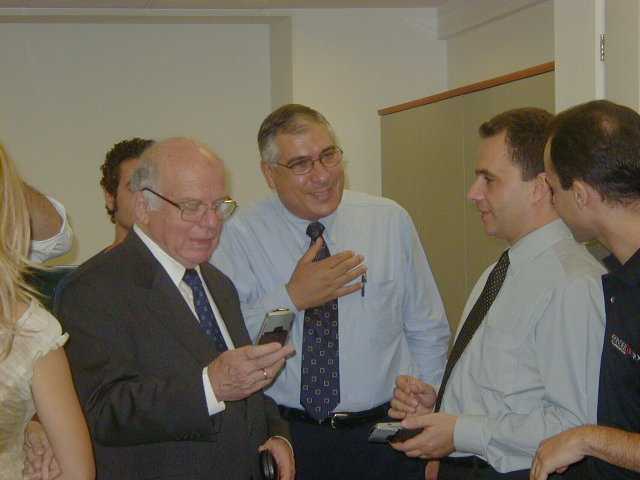 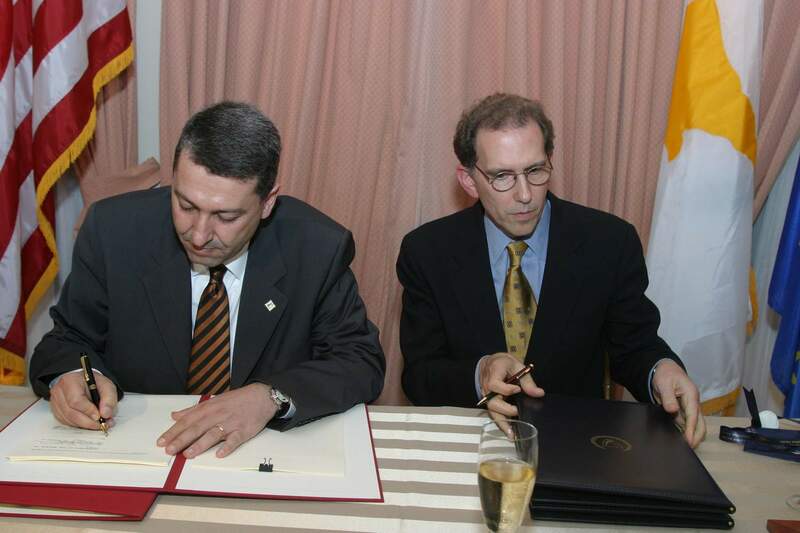 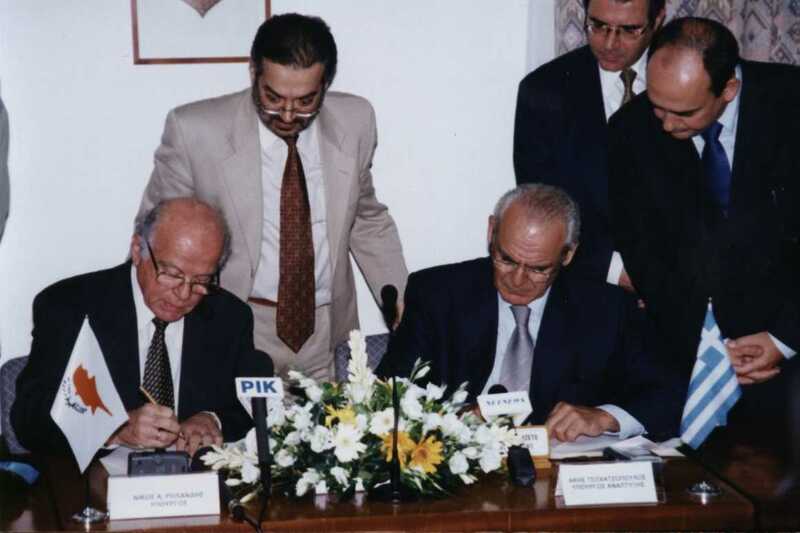 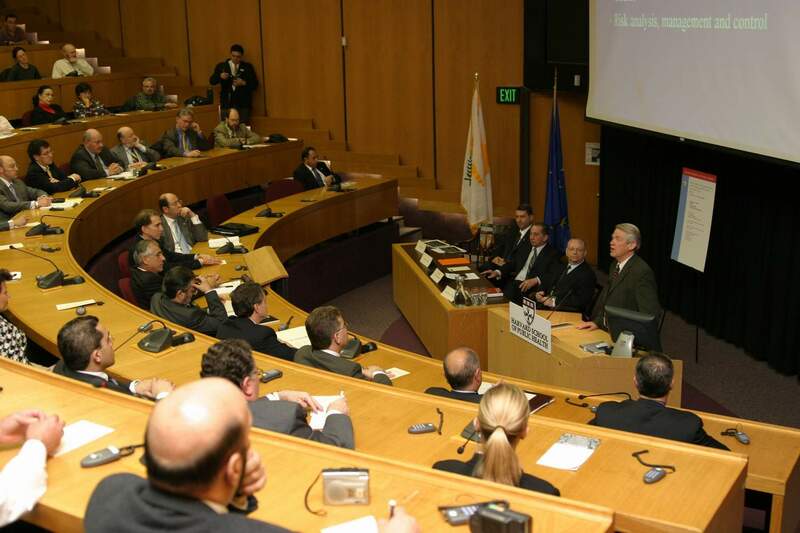 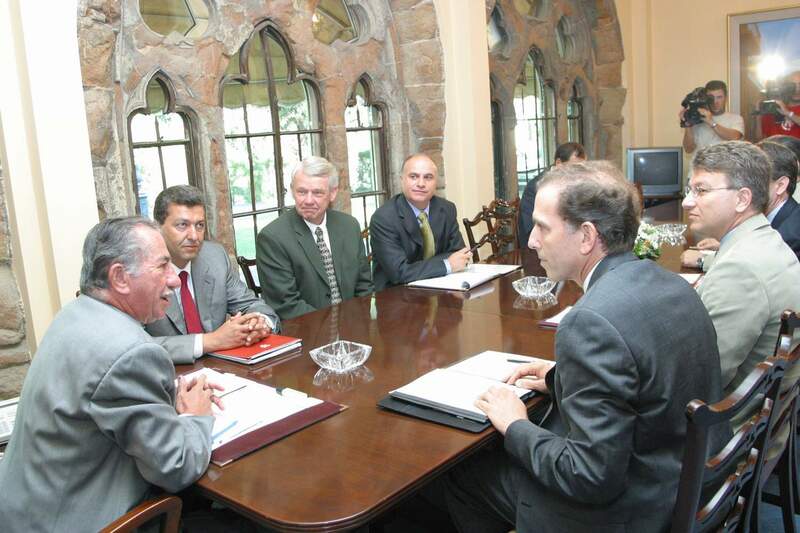 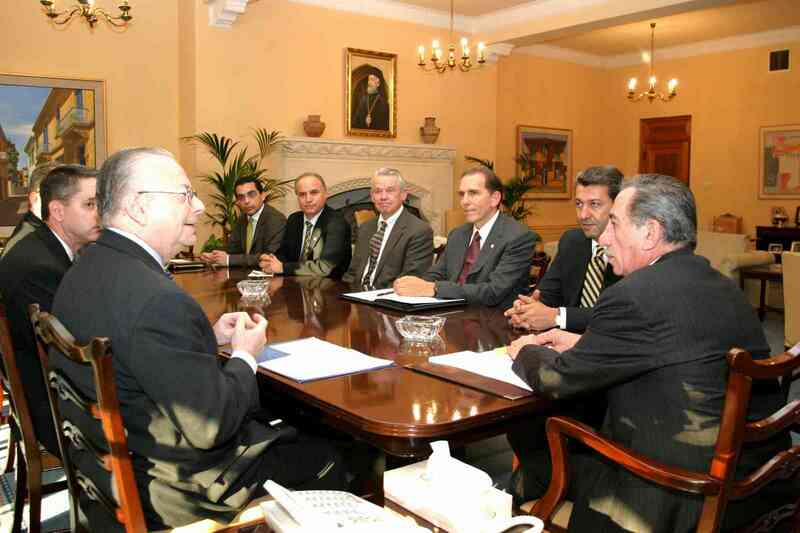 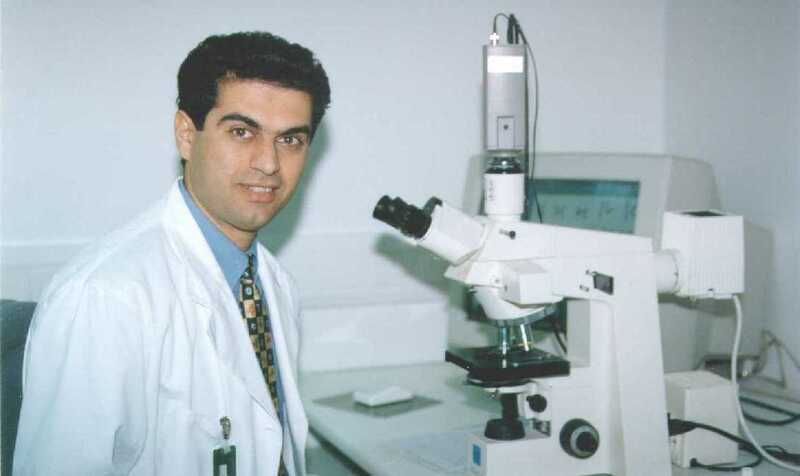 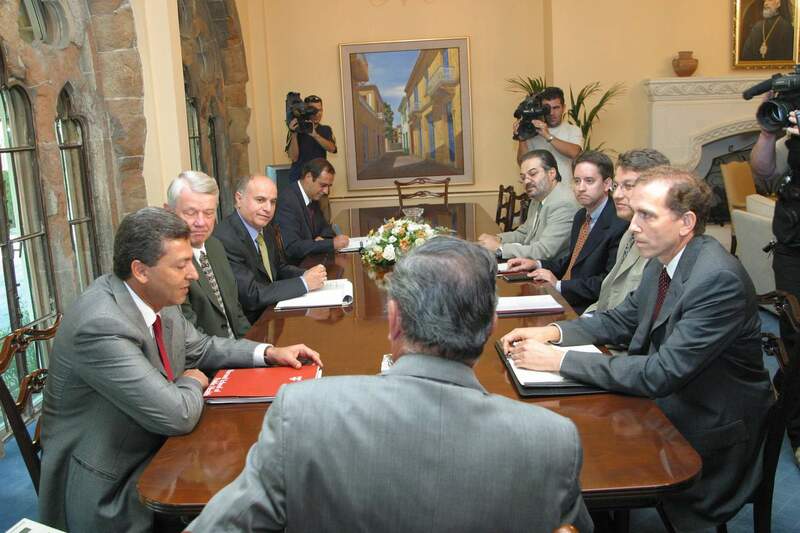 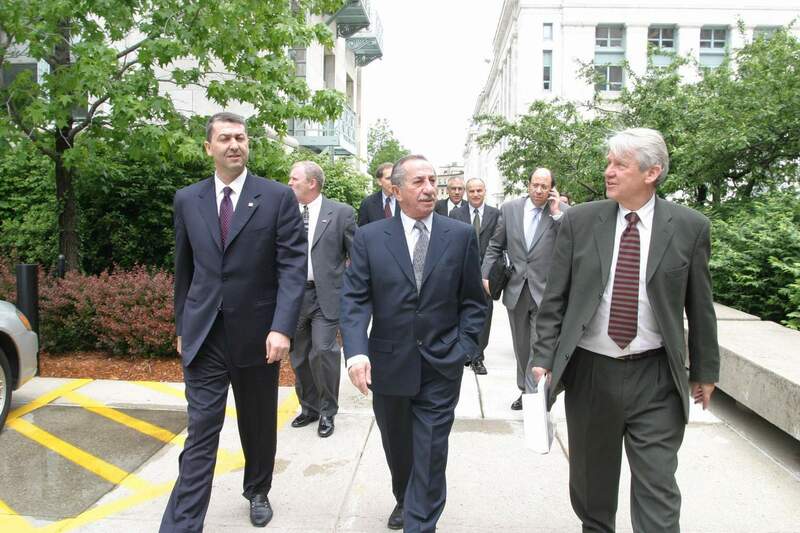 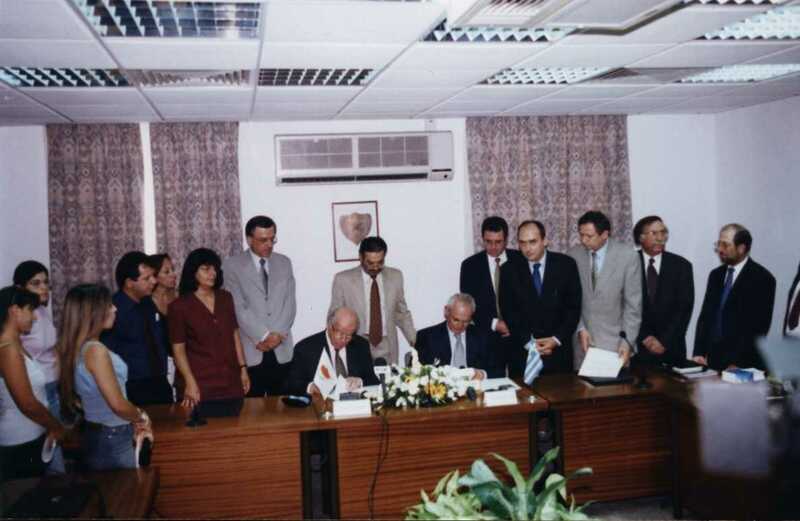 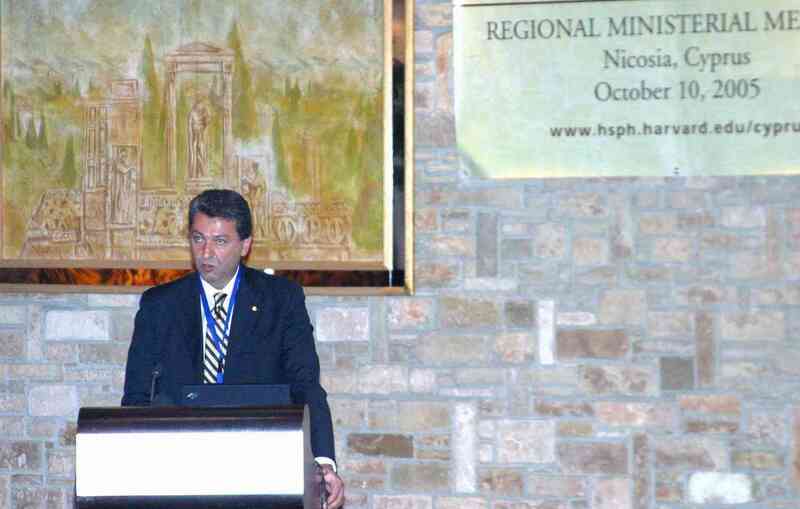 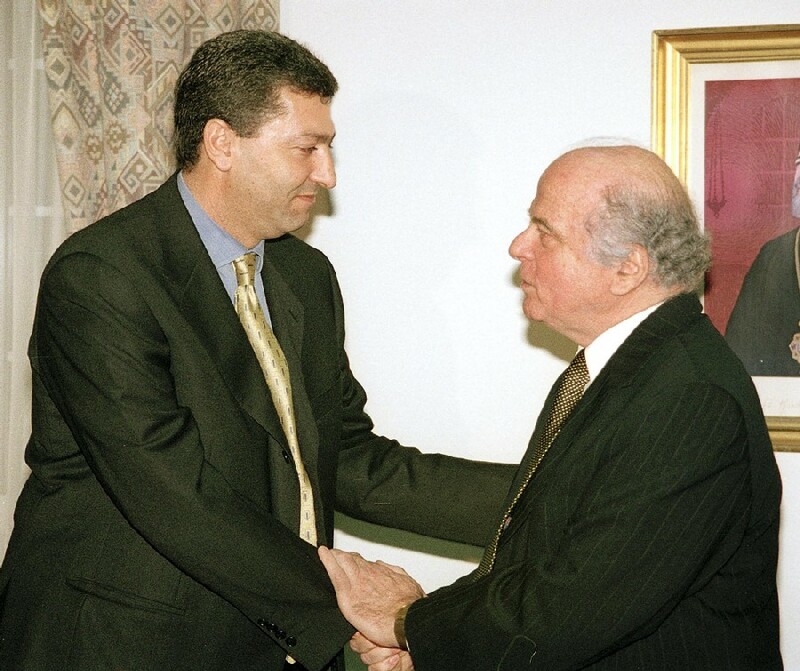 From the contacts of the Harvard School of Public Health in Cyprus with the President of the Republic Mr. Tassos Papadopoulos and the Minister of Commerce, industry and Tourism Mr. Yiorgos Lillikas (25 and 26 August, 2003). 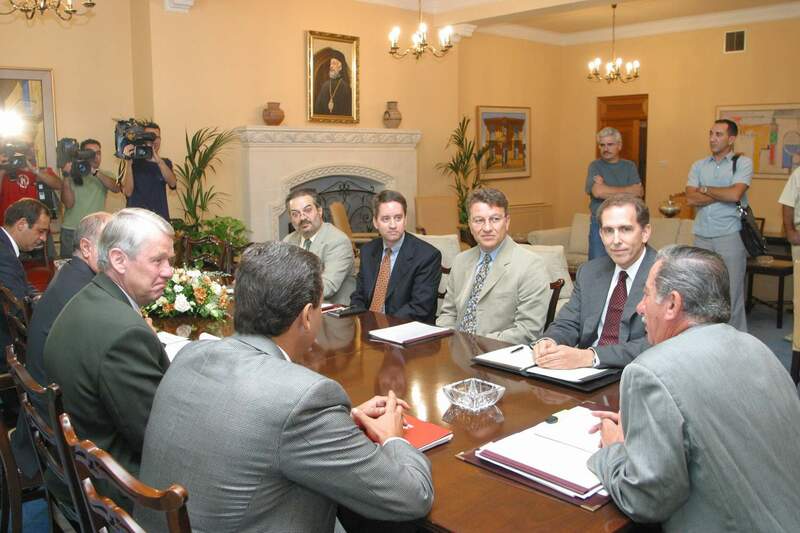 Another two photos from the the Regional Ministerial Meeting of October 10, 2005 and three photos from the visit in Cyprus of the Minister of Higher Education and Scientific Research Professor Amr Ezzat Salama to attend the Regional Ministerial Meeting during which he has signed with Cyprus Minister Lillikas a Memorandum of Understanding for cooperation in Science and Technology between Cyprus and Egypt. 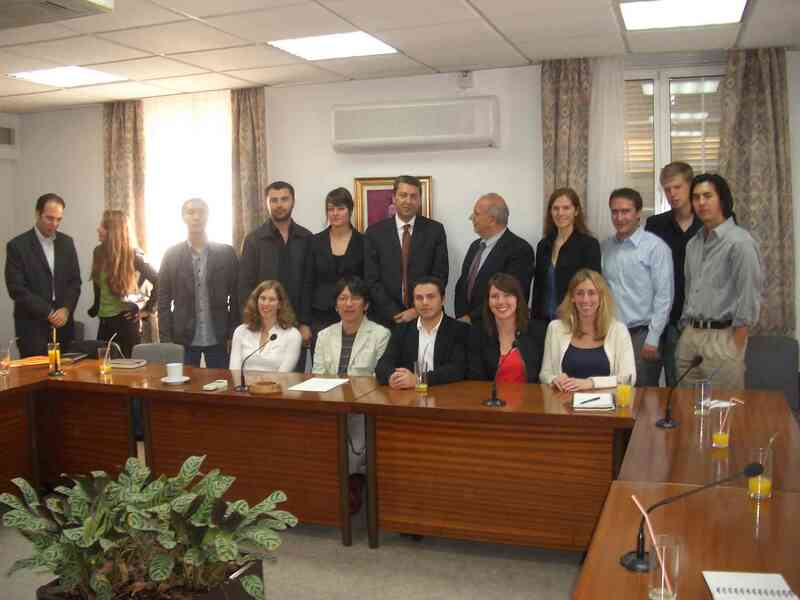 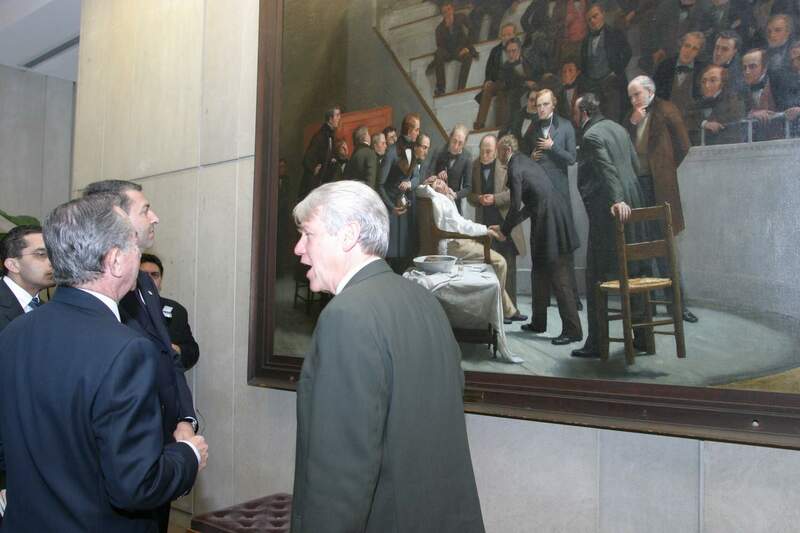 Visit of students from the Harvard Design School with their Professor Dr Spiro Pollalis to the Minister of Commerce, Industry and Tourism Mr. Yiorgos Lillikas on 11 November, 2005. 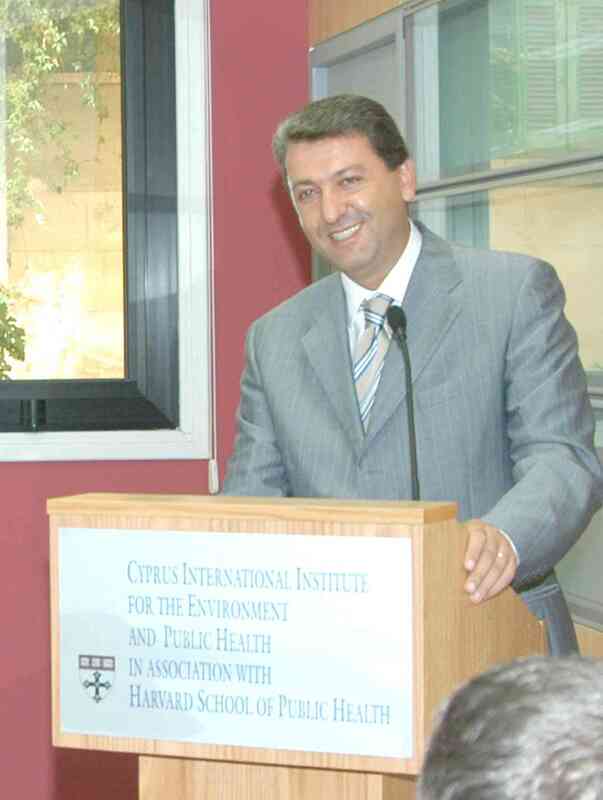 The students were on a visit to Cyprus in the context of the architectural design studio/ project for the design of the new facilities for the Cyprus International Institute for the Environment and Public Health.